I just got back from a nice family trip to Florida. Luckily, we rented an apartment and were able to cook most of our meals because the food scene was a little lacking…to say the least. The tasty local shrimp and citrus galore inspired me to make this dish. Honeybell oranges were the best in Florida, but they aren’t the best for salsa because they’re so juicy. Cara Cara oranges are delightful this time of year. They are a red fleshed and have a delicious sweet flavor. 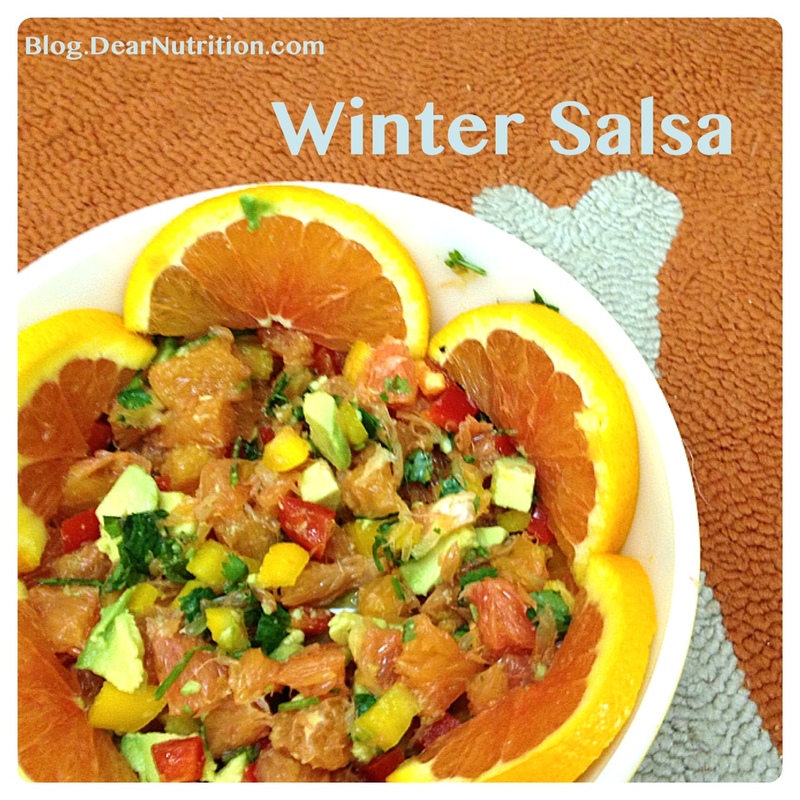 This salsa is a great way to boost your vitamin C intake this winter and they’re a great substitute for tomatoes in salsa, which aren’t so tasty this time of year. To make the salsa, first cut the oranges into segments . Cut off the top and bottom. Then peel off the skin with a knife and cut out each segment. Sometimes I like to leave the inside skin on because that’s where a lot of the fiber is. 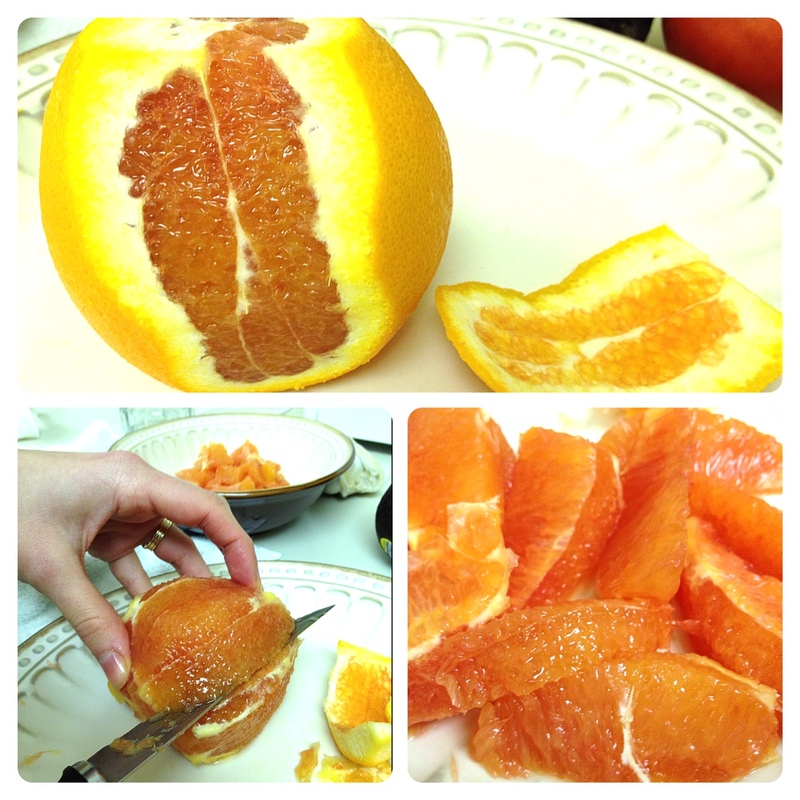 After you have all the segments, cut each segment into three or four pieces. Then combine orange segments with red peppers, yellow peppers, avocado, cilantro, jalapeno, and lime juice. Voila, there’s your salsa! Next, peel and devein the shrimp. Check out these pink beauties. 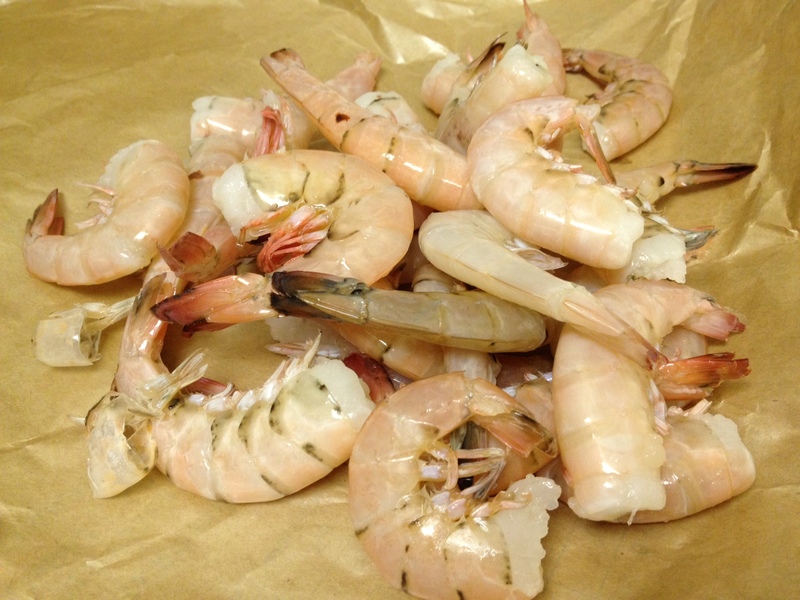 After they are peeled and deveined, toss with olive oil, salt, and pepper. Roast at 350 degrees F for about 5 minutes. Serve with rice or quinoa. To flavor my rice, I sauteed a red pepper in coconut oil (the sweet flavor goes well with the dish), then mixed it into the rice with more chopped cilantro. 1. Put your rice or quinoa on the stove to cook. 3. Combine the orange segments, yellow pepper, red pepper, cilantro, avocado, and lime juice in a medium bowl. Add salt and pepper to taste and more lime if needed. 4. Peel and devein the shrimp. Mix with oil, salt and pepper and roast for about 5 minutes until pink and no longer translucent. 5. 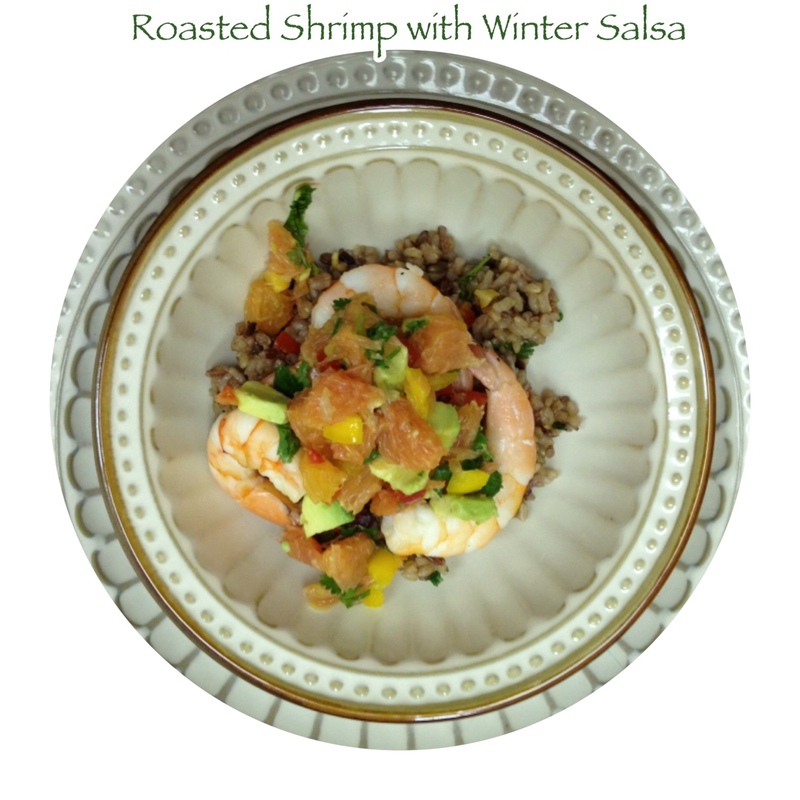 Serve in bowls with rice mixture on the bottom, then shrimp, and top with salsa.